With the launch of the new look Facebook due at the end of the month, screen printers - Rush Order Tees - has launched their new company Facebook page ahead of schedule. Screen printers, Rush Order Tees, has launched their new Timeline View Facbook Page ahead of Facebook’s March 30 deadline. Facebook users can learn how to design t-shirts online and watch automatic t-shirt printers in action. The widely reported new look of Facebook has yet to be adopted by most brands but t-shirt printing company Rush Order Tees has already adopted the new look in its March 14th update of its official company page. 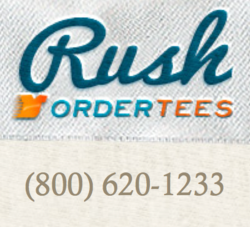 Rush Order Tee’s VP of Marketing and eCommerce, Ron Reed remarked “Our customers are extremely web savvy so it’s even more important that we give them the best online experience possible. Today, our online experience extends beyond a company website. 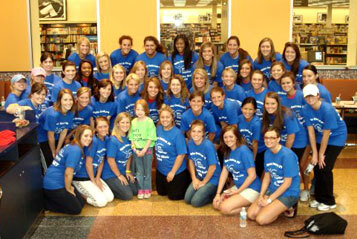 “Candidly, social media has not been a driving force in our business from years past. Printfly and Rush Order Tees are family owned screen printing businesses built on referrals and repeat business from satisfied customers over the course of the last decade. It has truly been a grass roots success story which makes the current growth even more impressive when your realize it was mostly fueled by word of mouth referrals. “Today, social media is the method many consumers use to refer any business to friends and family be it a maker of customized shirts, a mechanic or a favorite restaurant. We want to make sure that we give our customers the ability to share their custom made t-shirts design and recommendations by whatever means is most convenient for them. That may be liking us or writing a recommendation on Facebook, +1in our site or Google+ page, following us on Twitter, subscribing to our YouTube channel or putting a Pinterest pin in us. 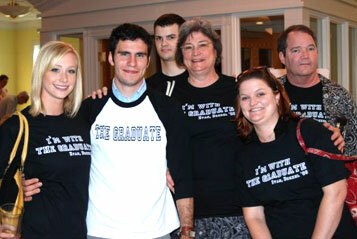 For more details on promotions and events, contact Rush Order Tees at (800) 620-1233. Printfly and Rush Order Tees are eCommerce based businesses built on repeat business and referrals from satisfied customers, Rush Order Tees has grown to be a major leader in the custom shirt printing industry. Since its founding in 2002, Rush Order Tees has expanded its product offering beyond custom printed shirts to include a wide variety of sports, academic, community-driven, commercial and business offerings including company polos, custom business shirts, custom team jerseys, custom printed hats, custom printed sweats, custom college shirts, school jerseys, custom totes, custom aprons, and more. As it began to grow out of its prior facilities, Rush Order Tees acquired a 15,000 SF facility in North East Philadelphia, PA which they equipped with over twenty of the highest quality screen printers, digital printers (DTG Direct to Garment printers), screen exposure units, screen printing heaters and much more. Now, in 2012, the business continues to grow to a point that now requires a new facility and offices. Based in Philadelphia being a contributor to the local economy in and out of the city limits, the company is in negotiations to acquire a new facility staying based in the city of brotherly love with sipping locations and warehouses throughout the United States. They will continue serving the entire US (all 50 states) and Canada with their policy of standard free shipping through UPS to all 50 states under both the printfly and Rush Order Tees brands and sites. 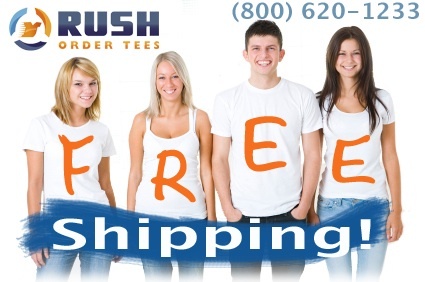 Rush Order Tees currently offers customizable shipping options which will extend to Printfly in the near future. As the company grew, it continue to offering free nationwide shipping along with “no fee” polices and an industry-leading low price guarantee. Through the years, they've developed a reputation for excellent service, value and quality. Their customers have voiced their well earned allegiance and appreciation across many consumer-driven review sites earning Rush Order Tees and Printfly overwhelmingly positive online rating and reviews across the leading sites including Google, Superpages, Yellow Pages, and the Better Business Bureau where they hold a certified A+ Accredited Rating. 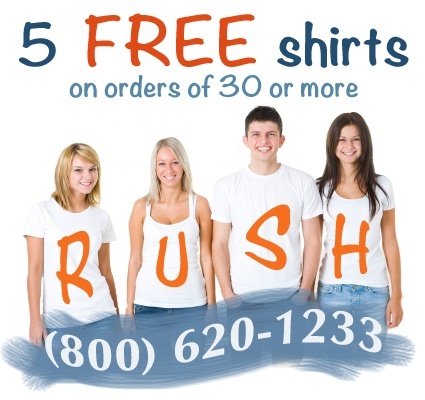 Contact Rush Order Tees at 1 (800) 620-1233 or visit their site to email customer service or Live Chat with a specialist. Hours of operations are 7:00 am to 11:00 pm EDT, Monday through Friday and 9:00 am to 7:00 pm EDT Saturday and Sunday.